HOPE has been a forerunner in providing health, educational and disaster assistance and relief to the needy and distressed across Pakistan since its creation in 1997. Within the field of health, HOPE’s primary goal is to increase access to preventive and curative healthcare for the poor by setting up emergency, primary and secondary care facilities in rural areas and urban slums. Currently, HOPE is running two hospitals in Karachi one in Thatta and one in Sujawal. 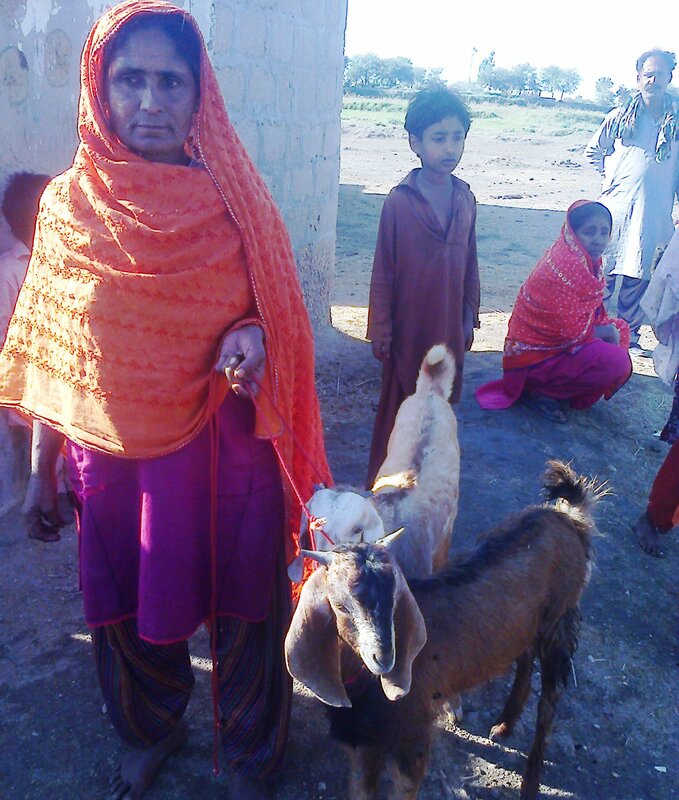 But that is not all, HOPE has been extremely instrumental in providing invaluable tools to the general poor masses specially in rural Sindh, places like Thatta, Sujawal and Badin to earn reasonable means of income on a consistent basis to better their conditions and thus the conditions of the generations to come. 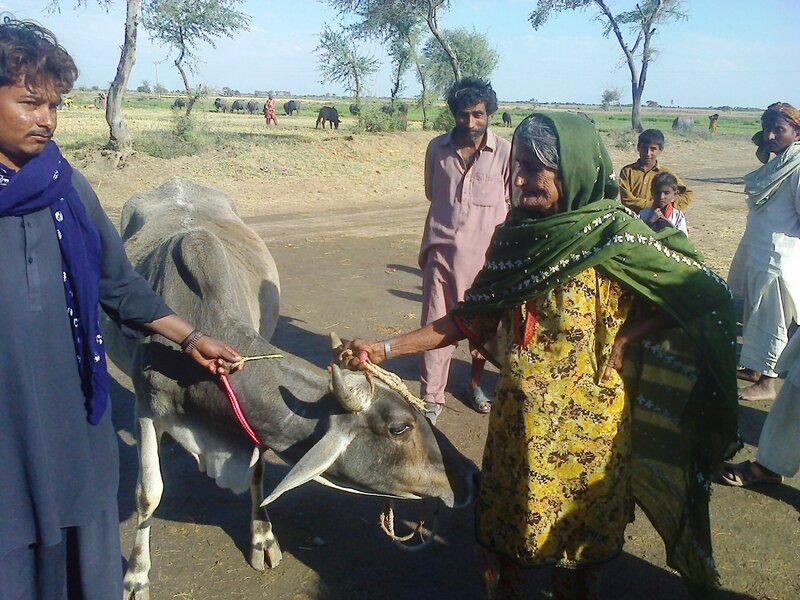 Top priority has been the flood affectees of Badin and Sujawal and every effort is being made continuously to rehabilitate them economically. In this respect small landowners economically handicapped in cultivating their lands were provided high quality sunflower seeds according to the terrain of the acreage available for cultivation ~ along with technical assistance in scientifically preparing their lands, sowing of seeds and an appropriate watering schedule. 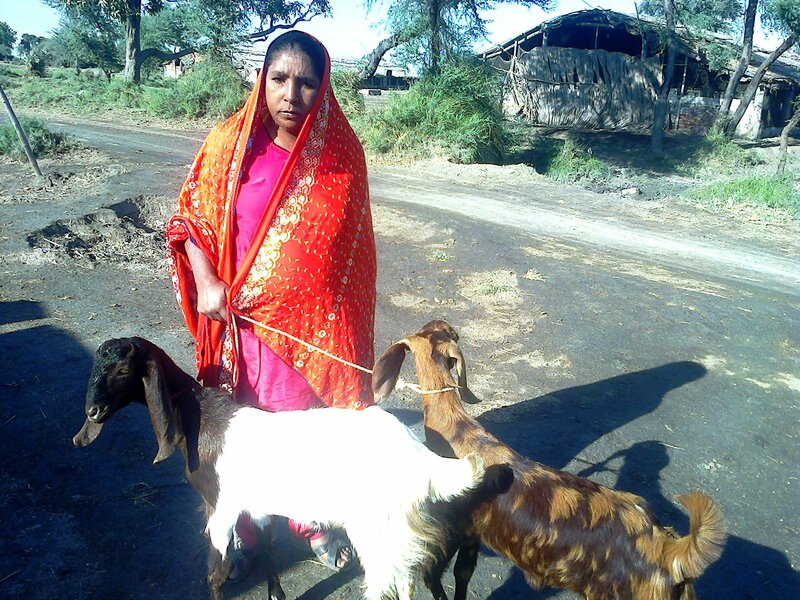 Empowering these very poor landowners to begin a cycle of independantly and profitably managing their lands on a consistent basis so that they become capable once again in successfully earning their livelihoods. After almost four months of hard work a very handsome dividend is anticipated by the recipients of sunflower seeds. 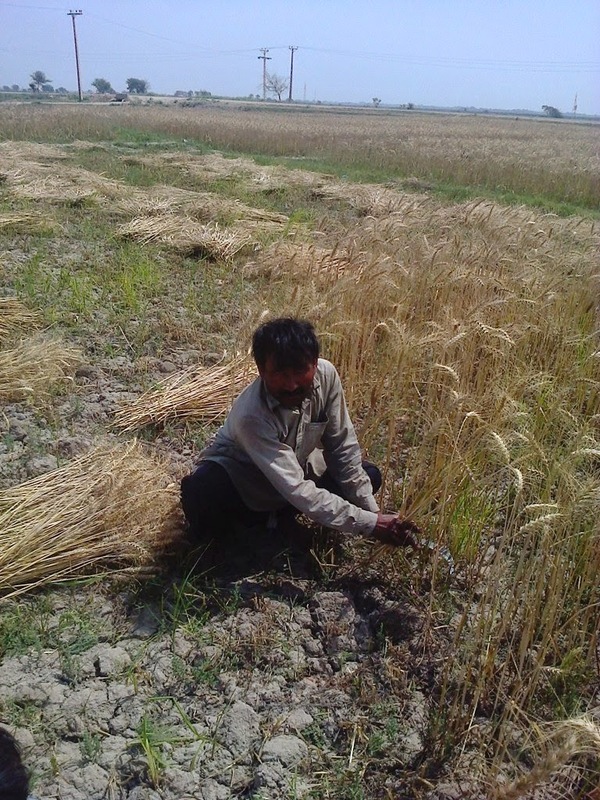 By the look of the standing crop it is expected that all six of them will reap bumper crops. All six recipients are looking forward to the actual cutting of their crops in two to three week’s time.All of them are already rejoicing their anticipated success and are very grateful for the assistance they have received. Chairperson of HOPE, Dr Mubina, a child specialist in Karachi personally managed the whole project and direct instructions were given to the administrative staff of HOPE in Badin . Chairperson of HOPE, Dr Mubina, a child specialist in Karachi, made absolutely sure that the program was run with utmost efficiency so that all recipients benefitted to the very maximum. 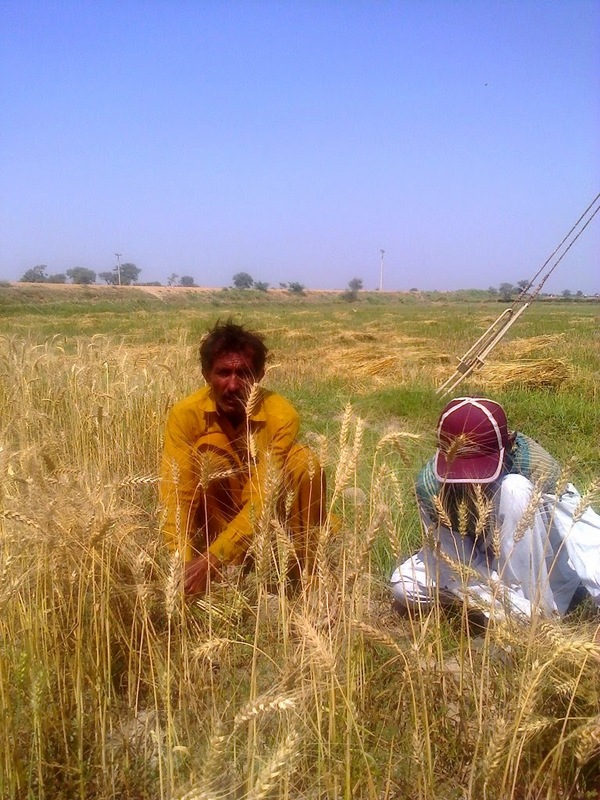 In this respect small landowners economically handicapped in cultivating their lands were provided high quality wheat and sunflower seeds according to the terrain of the acreage available for cultivation ~ along with technical assistance in scientifically preparing their lands, sowing of seeds and an appropriate watering schedule. 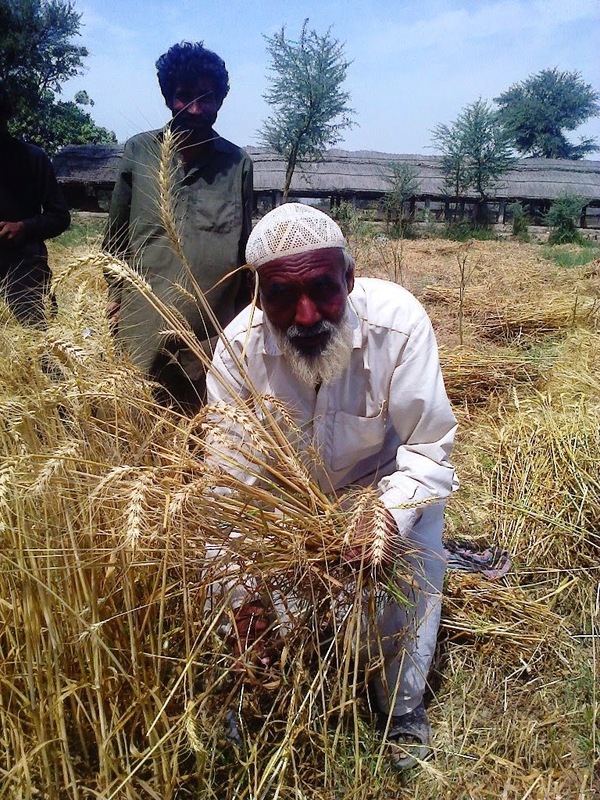 Empowering these very poor landowners to begin a cycle of independantly and profitably managing their lands on a consistent basis so that they become capable once again in successfully earning their livelihoods. 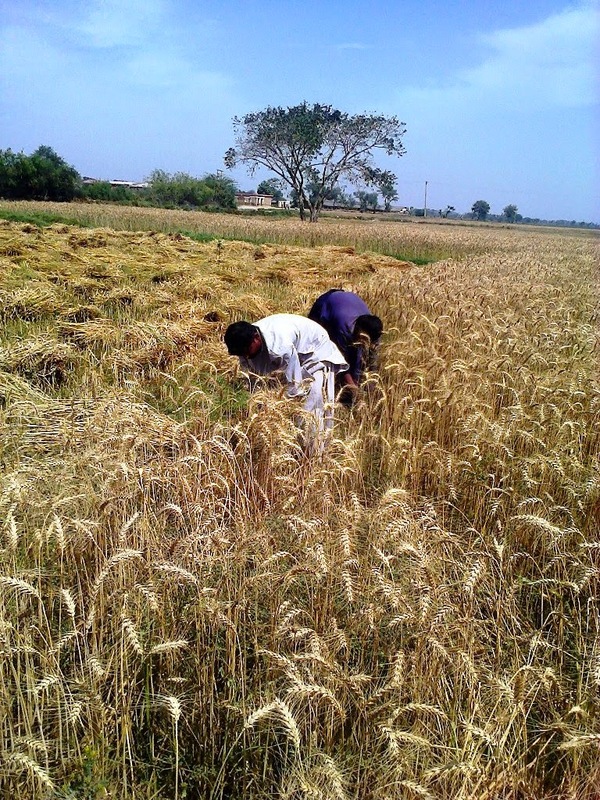 After almost four months of hard work a very handsome dividend was received by the recipients of the wheat seeds. All six of them were able to reap bumper crops and all six recipients rejoiced in their success and were very grateful for the assistace they received. 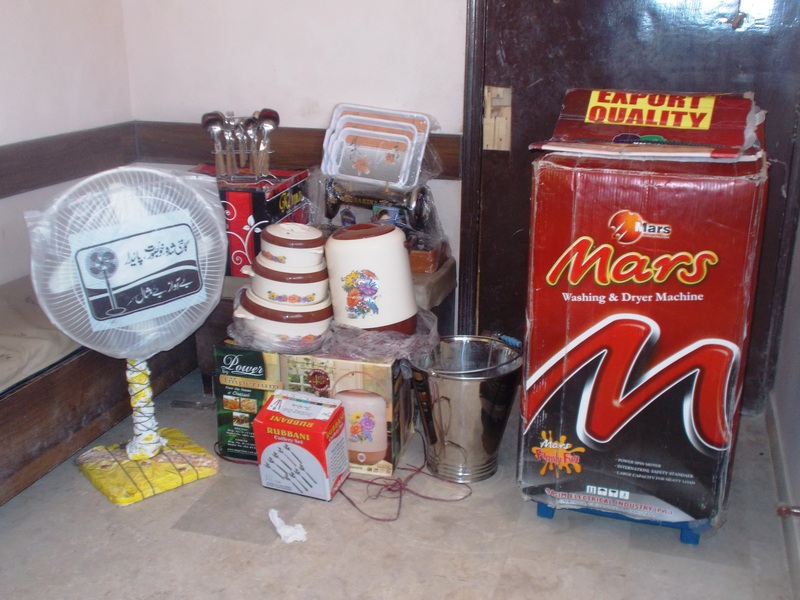 Chairperson of HOPE, Dr Mubina, a child specialist in Karachi personally managed the whole project and direct instructions were given to the administrative staff of HOPE in Badin and Sujawal. 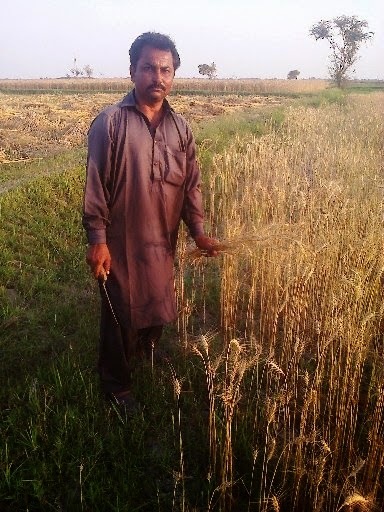 To the small landowners economically handicapped in cultivating their lands, high quality seeds according to seasons will be provided with other technical assistance so that they become capable once again to earn their own livelihoods independently. 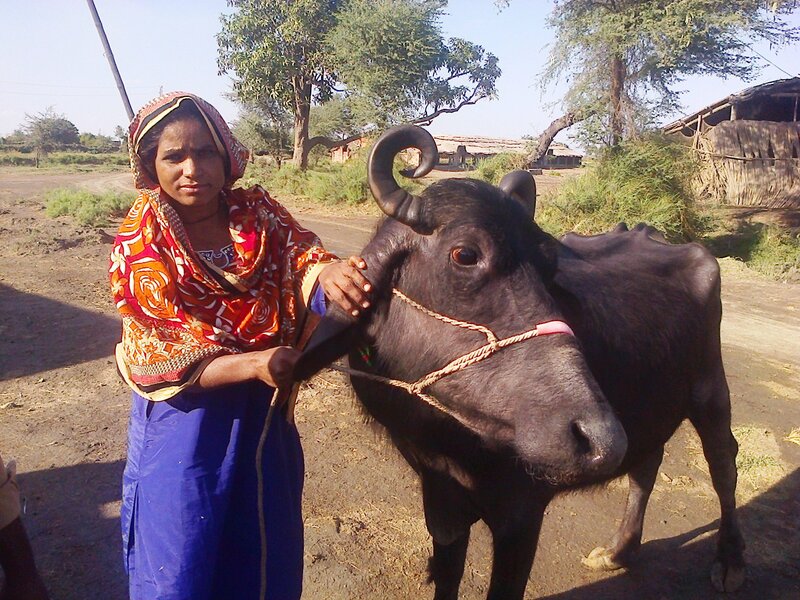 To the people capable of successfully rearing livestock and having sufficient space and know-how, will be provided technical information and livestock animals such as buffaloes, goats etc to get them started and create a sustainable, and steadily increasing source of income. 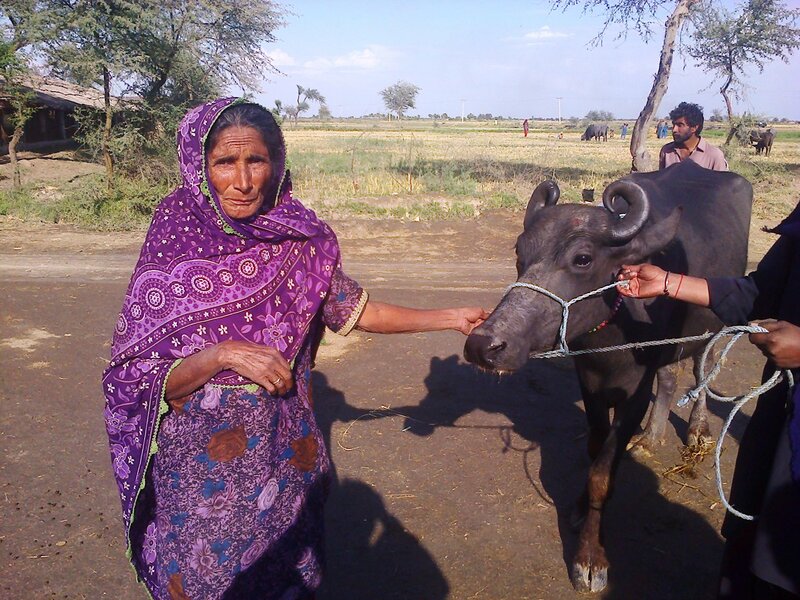 They could sell milk in the local market for cash and also benefit from the number of heads increased in breeding. In order to achieve optimum, long term and sustainable results special training will further be given to in-house and field staff so that the goal of the whole project is understood and focused upon. The network of trainers and field staff will also be provided full information to spread verbal, written and visual awareness to continuously increase the number of potential beneficiaries, whether into the training and vocational centres or in associating with the small landowners for seeds and small-scale cattle farmers etc. Chairperson of HOPE, Dr Mubina, a child specialist in Karachi will oversee the complete management and has accordingly instructed the administrative staff of HOPE in Badin and Sujawal. Chairperson of HOPE, Dr Mubina, a child specialist in Karachi, will be responsible for providing directives and instructions based on the master-plan worked out in advance. And using its offices in Sujawal and Badin the administrative team will appropriately place each individual, both in-house and in the field to efficiently perform as per plan and requirement and at the same time give feed-backs on daily basis to rectify and amend any snags or hitches. This will ensure a smooth running of the whole project and will produce the best results. HOPE Extends Assistance To One Of Its Loyal Employees For Marriage Of His Sister And Himself. Abdul Sattar has been with HOPE’s Thatta Hospital since its very inception and has worked hard and diligently all through these years. HOPE is now a major hospital in Thatta. 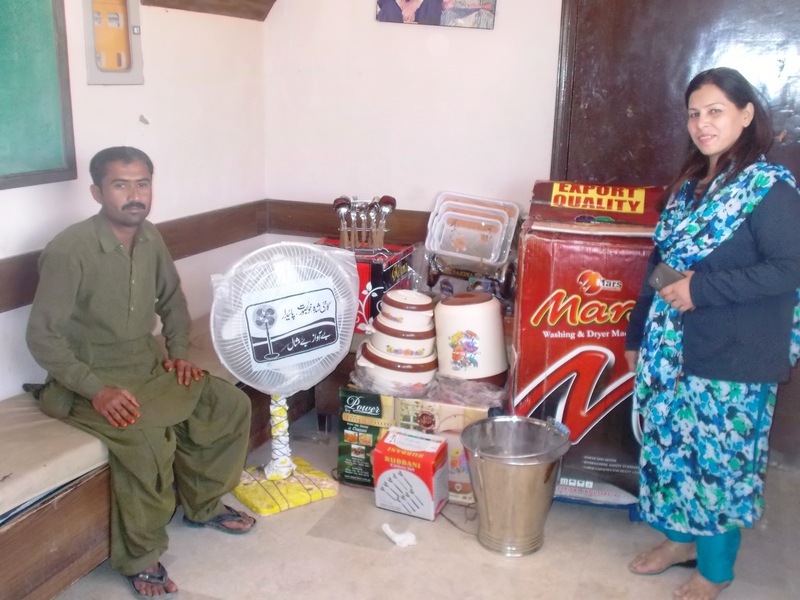 Time has presented HOPE with an opportunity to assist and reward Sattar, even if in a small measure in the form of financial and material help for himself and also his sister – who is also jointly getting married. Pakistan is a country where the disparity level between the lower middle class and the middle class is very high. Also, the population living below the poverty line is increasing day by day. 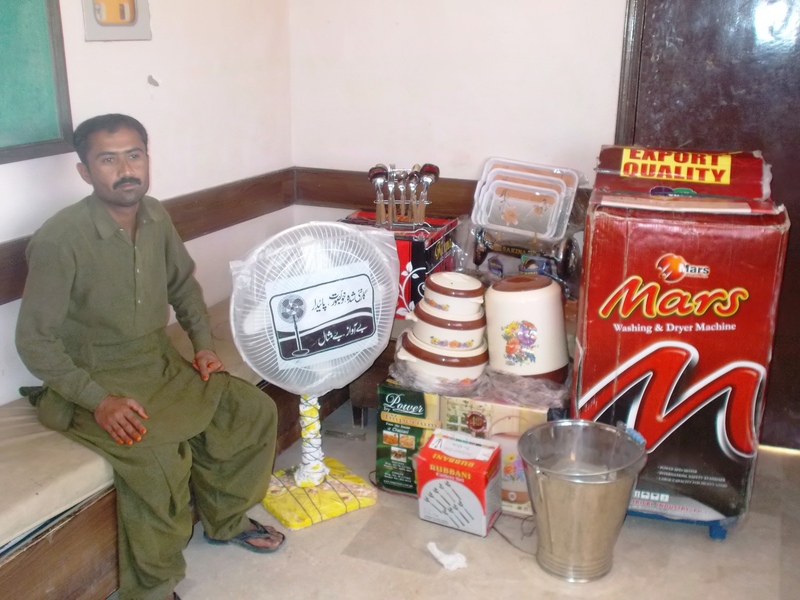 Recently, HOPE’s team went to Thatta where they gave in-kind and in cash assistance to Sattar & his sister and the household goods bought for them was delivered at their home.The marriage for both Sattar and his sister has been scheduled for March 05th, 2015. 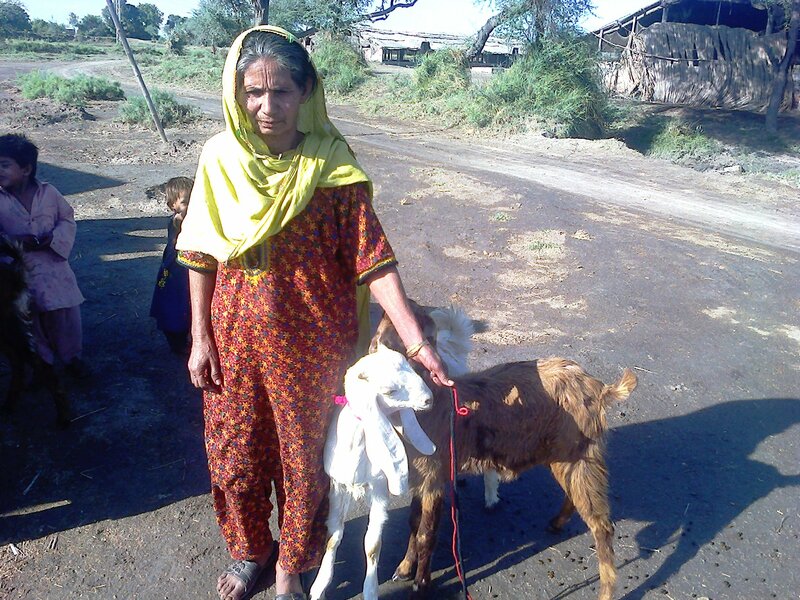 Sattar’s parents were over the moon when they saw HOPE’s team bringing gifts for them which substantially relieved them and lessened their burden. They thanked HOPE’s staff for being there with them in this hour of need. 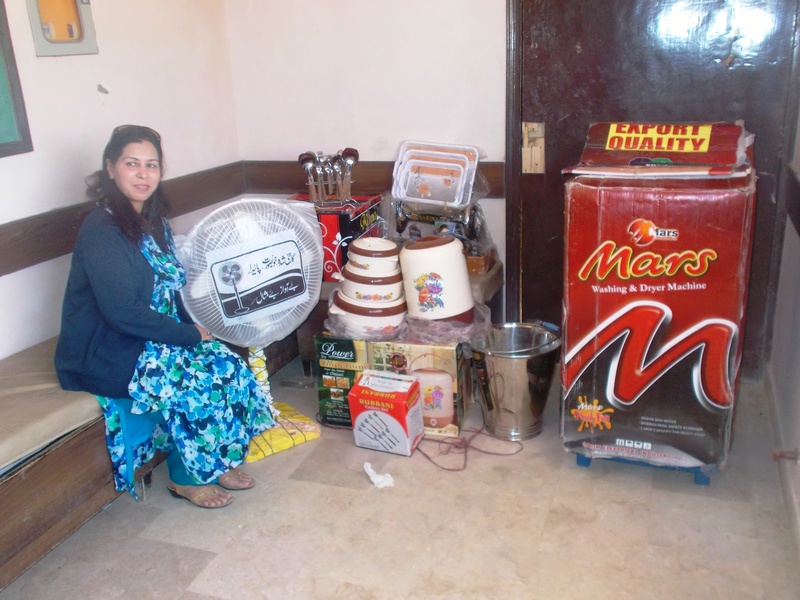 Dr. MubinaAgboatwalla, child specialist in Karachi has been helping the needy for the past 18 years through HOPE, an educational NGO in Pakistan, operating schools and hospitals all over Pakistan providing free of cost education and health facilities to the less fortunate of our country. She is of the opinion that each and every organization, company, individual who have the capacity, whether monetary or in-kind, should come forward to help the underprivileged. It is the civil society which has a huge role to play in bringing prosperity to this country and we at HOPE, an NGO in Pakistan are striving hard to bring about a positive change towards achieving a better Pakistan.